-The Council consist of the Tribal Chairman, Vice Chairman, and nine council members elected from four separate districts. -Council members are elected to a staggered four year term. 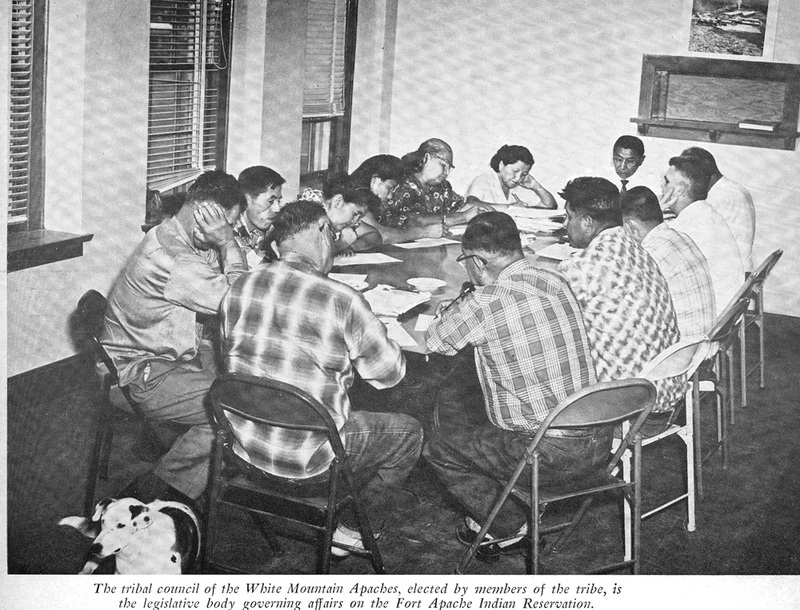 -The Tribal Council represents the White Mountain Apache Tribe and it's people and acts in all matters that concern the welfare of the tribe, and to exercise all powers vested in the tribe through it's inherent sovereignty.